According to one prediction, nearly one third of UK households will own a smart security device by 2022. However, there’s no need to wait to tighten up your home security. There are a number of measures, smart or otherwise, that you can consider if you’re looking to deter burglars from targeting your home. Research has suggested that 34% of burglars gain access to a property via the front door—an alarmingly high statistic, whichever way you look at it. With the rise of smart technology, you have the option to install a doorbell with a built-in camera, giving you a real-time view of your front door whenever you choose. Some of these doorbells, such as Ring, also send alerts to your phone via an app, informing you when someone is passing by your door, and giving you the option to view who is outside. However, it’s important that this isn’t the only form of security you rely on for your home. Most smart security works through your home’s WiFi connection, and therefore has the potential to be hacked. In order to get around this, make sure that your actual door lock is of a high quality. According to experts Security 201, choosing the right door lock can not only prevent an intruder from gaining entry, but can also increase the likelihood of their being caught. You should consider the material your door is made from, as well as what type of door lock is best for your needs, such as a rim deadbolt, mortice, or thumbturn. Having the right door lock can even reduce the cost of your home insurance premium, as insurance brokers will find that there is less of a risk of your home being burglarised. Opportunistic burglars walking by your home may notice if you have any valuables out in plain sight, and could choose to target your house. One of the best ways to deal with this is by ensuring that your valuables are kept safely locked away, rather than on display. While you may choose to hide your jewellery elsewhere, such as in your cupboard drawers, these common places are often some of the first areas burglars check. Rule out the obvious hiding places, and instead invest in a secure safe that can house your most prized possessions. It’s important to note, however, that you should have your safe bolted down to the floor, or the wall, in order to stop thieves from carrying it away. When renovating your home, you’re likely to be buying and installing a number of expensive goods, whether they are new appliances, TV’s, or even just new gadgets around your home. However, this could attract burglars to your home if you don’t dispose of your trash properly. Large, empty boxes showcasing your new items in front of your house can be spotted by opportunistic thieves, who may choose to target your home and your new goods. It’s important to bear this in mind when throwing out your rubbish, and consider throwing your rubbish away closer to when it will be picked up, minimising the time burglars could see the boxes. When you get new electronics, you should keep a record by either noting down the serial number, or taking a picture of it. This way, if you do end up a victim of a burglary, you can report it with all the relevant information, so police know what precisely they’re looking for. When renovating your home, think about any potential hiding spots that burglars could take advantage of. Convicted burglars have admitted to hiding to avoid discovery, even include areas around a target home. Alleyways and dark spots in your garden can provide a convenient hiding spot for burglars, giving them more time to find an entry point into your home. To combat this, you could opt for motion sensor lights in these kinds of areas to deter burglars, or CCTV cameras for added security. It’s also worth thinking about any outdoor furniture and tools you have outside your home. Ladders left out in the open could be used to gain access to a second storey window, or even garden furniture. 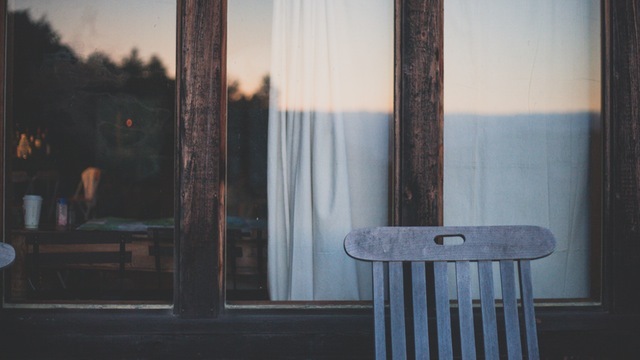 You might consider keeping your garden furniture locked in the shed or indoors, or simply bolting it in place to prevent burglars using it to gain access, while also making sure to keep tools locked away overnight and when you’re not home. As well as relieving you of the responsibility of switching your lights off and on every day, lights on timers can also come in handy when you’re away on holiday. By turning your lights off and on even when you’re away, lights on a timer can give the illusion to the outside world that someone is at home. Burglars are less likely to target a property if they don’t believe it is empty, so having your lights set to switch on automatically takes the worry away while you’re on holiday. While you can’t ever completely eliminate the chances of your home being burglarised, there are a number of things you can do around your home to drastically reduce the odds. Following these easy steps can help protect your house, whether you’re at home, work, or on holiday.